The Midi Pyrénées region has 200 species of butterflies and 28 species of day-flying moths recorded to date. This represents 75% of the 260 butterfly species recorded in mainland France. Together with Nature Midi-Pyrénées and the Conservatoire d’espaces naturels de Midi-Pyrénées Jude has been assisting with the atlas of butterflies and day-flying moths of the Midi-Pyrénées. This is a project that has been running since 2008 involving the collaboration of nine naturalist organisations from the Midi-Pyrénées region. The Conservatoire d’espaces naturels de Midi-Pyrénées and the Languedoc-Roussillon are currently working in collaboration to produce a joint Atlas for the region, Occitanie. Several members of Butterfly Conservation’s European Butterflies Group have also participated with numerous recordings. 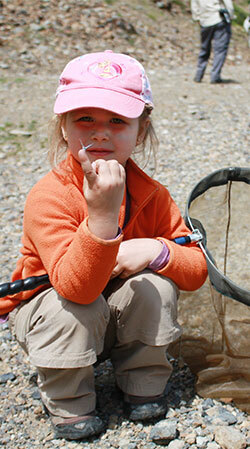 European Butterflies Group coordinates research and/or conservation butterfly events. More information of where to see butterflies in France can be found on the European Butterflies Group website here. You can see the IUCN Red List of butterflies of France here. Jude is a member of the Nature Midi-Pyrénées – CEN working group on butterflies – contact her if you wish to share your recordings in the Midi-Pyrénées. The CEN has a site dedicated to the butterflies of the Midi-Pyrénées, you can see how the butterfly atlas is progressing on the ‘platforme Web’obs’ here. The CEN Languedoc is piloting the Regional Plan of Action for butterflies and the production of the paper version of the Atlas Papillons d’Occitanie. Zygaenidae mini site for the Midi-Pyrénées and Languedoc-Roussillon. This is an online version of the Conservatoire d’espaces naturels de Midi-Pyrénées identification key see here. 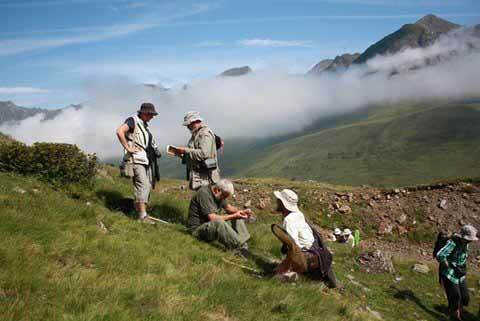 In June 2013 Butterfly Conservation’s European Butterflies Group and the Association Proserpine organised a conference in Digne-les-Bains (Alpes-de-Haute-Provence) in partnership with the Muséum National d’Histoire Naturelle in Paris. It was the first time UK and French organisations have joined together to discuss the future of butterfly conservation in France. In 2011 Jude organised a week for Butterfly Conservation’s European Butterflies Group to work alongside the local Nature Midi Pyrénées Butterfly Atlas group. During the week we were joined by Etienne from the Pyrenees National Park and the European Butterflies Group president Simon Spencer persuaded Tristan Lafranchis, author of Butterflies of Europe, to join us. Despite mixed weather conditions we were able to identify 86 species locally including some firsts for the group such as Gavarnie Ringlet, Pyrenees Brassy Ringlet, Common Brassy Ringlet and Gavarnie Blue. 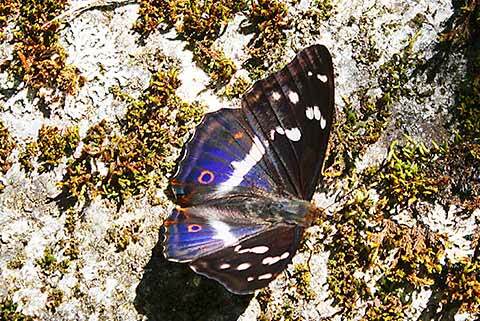 We also had wonderful opportunities to photograph Purple Emperor. You can see some of the results in our butterfly gallery. Philippe Bricaire‘s website, Fleeting Wonders, is dedicated to butterflies and burnets of France. It has many pictures and information about identification and natural history. Roger Gibbons’ website Butterflies of France is excellent with helpful advice on identifying blues and Pyrgus skippers. Lepinet (in French) is Philippe Mothirons’ extremely comprehensive site organised département by département. The iPhone and iPad app Butterflies of Europe by Chris Manley, Matt Rowlings, Guy Padfield and Peter Eeles is useful to have in the field.